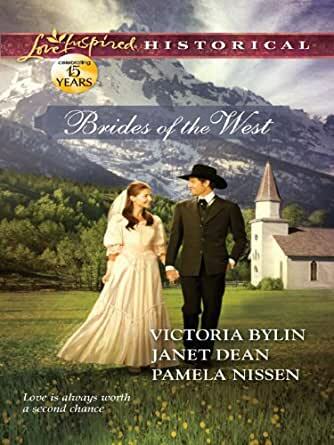 Brides of the West: An Anthology (Love Inspired Historical) - Kindle edition by Victoria Bylin, Janet Dean, Pamela Nissen. Religion & Spirituality Kindle eBooks @ Amazon.com. Desperate for someone to help her save her ranch, Josie Bright makes a deal with Ty Dormer. Now the man who'd left her waiting at the altar is making her hope for things she had long stopped wishing for. Elise Langley was stung to the quick when her would-be suitor suddenly left town. But when David Wellman returns and they are thrown together organizing their friends' wedding, can she open her heart again? As a girl, Lydia Townsend hoped to marry Jebediah Gentryuntil his rejection spoiled her dreams. When family duty brings her home, it's Jeb's chance to show Lydia that now is the time for her wedding dreams to come true. 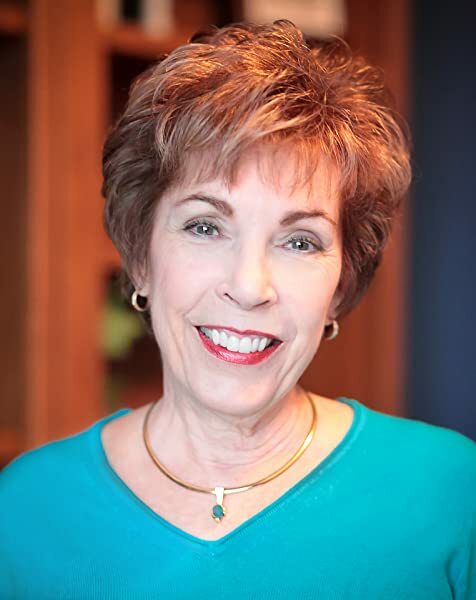 Victoria Bylin is an ACFW Carol Award finalist and an RWA Rita finalist. Her emotional westerns focus on the popular themes of family, redemption and second chances. 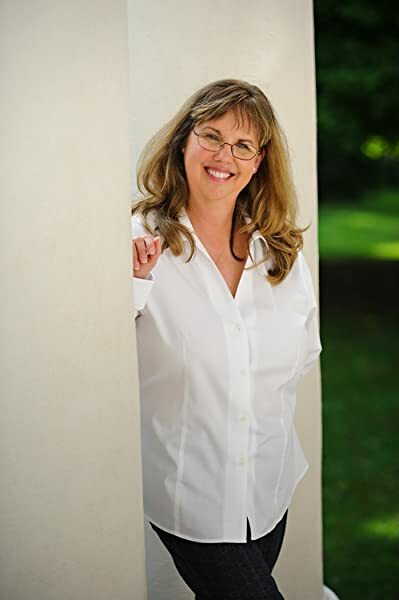 Vicki really does believe in “happily ever after.” She and her husband have been married forever and currently live in Lexington, Kentucky. For more information, visit www.victoriabylin.com. that's all Ty Dormer wanted as he rode into Rock Creek, Wyoming. After five years in the Wyoming Territorial Prison, he didn't deserve the privilege. He didn't deserve to breathe Josie's name, but he hoped she'd forgive him. He hadn't meant to leave her waiting at the altar. They'd planned the wedding for months. But instead of saying "I do" to the woman he loved, Ty had spent his wedding day in jail. The day before the wedding, the Scudder gang stole six of his best horses. Josie pleaded with him to let the law handle it, but Ty and her brother went after the thieves. A gunfight erupted and he shot and killed Brant Scudder. Ty didn't know it, but the gang had cut the horses loose. With no evidence of their crime, he'd been convicted of manslaughter and sent to prison. As the white church came into view, he thought of the wedding that hadn't taken place. Josie had poured her heart into making her wedding dress. It kept her busy while Ty built up his ranch. The Brights weren't wealthy, but they had enough. Ty had wanted Josie to have enough. Too late he realized what enough meant to her. A wedding would have been enough. He would have been enough. Instead she'd sat dry-eyed through the trial. When it was over, she'd come to his jail cell and spoken words he'd never forget. I want to forgive you, Ty. But I can't. You love that ranch more than you love me. You love your horses more than anything. With her eyes misty, she'd walked out of the jail. Ty wrote to her begging forgiveness, but she never replied. His only contact with Rock Creek had been monthly letters from Reverend Hall, the minister of the Rock Creek Church. Ty had opened his letters with trepidation, expecting to learn Josie had married. She hadn't, but there had been other news. Her father died four years ago of a heart ailment. Two years ago her brother perished in a hotel fire, leaving Ty to wonder how the Bright women were managing. Josie's mother had been nearly blind when he went to prison, and Josie had two young sisters with ambitions of their own. Knowing Josie, she was carrying the load for everyone. After a year in prison, Ty stopped writing to her. With time, his feelings for her faded into memories and he'd realized something. Just as prison had changed him, sorrow had likely changed Josie. He needed her forgiveness, but he had no illusions of picking up where they'd left off. The love they once shared had most likely withered and blown away like tumbleweeds. Ty climbed wearily off his horse, a nag he'd been given by the prison chaplain, and went to the iron gate marking the church cemetery. The last time he was here, there had been only three graves in the plot marked by a low stone wall. Now there were eight, including the resting place of Nathan Bright, Josie's brother and Ty's best friend. The gate squeaked as Ty opened it, a reminder of the metal door of the cell he'd left a week ago. He didn't have to hunt for Nate's grave. The Bright family had bought a granite marker that stood a foot high. Behind it a rosebush held a dozen buds that would bloom in June. Ty took off his hat, approached the stone and hung his head. With his eyes closed, he heard the echo of Nate telling him to let the Scudders go. Let the law handle it, Ty. You 're getting married tomorrow. "I wish I'd listened," he said to the stone. He opened his eyes and relived that day. He and Josie had been having supper with her parents when his hired hand rode into the yard, shouting about the Scudders stealing his breeding stock. Ty had helped himself to a Winchester in the gun cabinet and turned to Josie. I'm getting my horses back. Ty, don't! You could get hurt. where she groused at him and he kissed her and they snuggled on the porch swing. That day had been different. He resented being bossed, and she'd been angry and worried that he wouldn't make it back for the wedding. He'd ridden off on Smoke, the gray stallion that could outrun anything, and he and Nate had found the Scudders. The gunfight got crazy. When it was over, Ty had killed sixteen-year-old Brant, the youngest and most innocent of the thieves. Ty made it back to Josie, but he didn't make it to the wedding. The town deputy, a man related to the Scudders, arrested him on his way to the church. Ty stared at the stone marker. "I messed up, Nate. I don't know how to make it up to her, but I'm going to try." It was all he could do, all he could say. With his chest tight, he bowed his head and prayed for blessings on the Brights. The rattle of a rig reached his ears and he turned. He saw a piano buggy being pulled by a mule. The side of the hood hid his view of the driver, but he noticed a sky blue skirt flowing to the floorboard. Ty couldn't stand the thought of seeing anyone from Rock Creek, especially not a gossipy woman. He considered hopping the stone wall, but he'd left his horse by the gate. He couldn't leave without drawing attention, so he turned his back to the buggy and focused on Nate's grave. The buggy halted, then creaked as the female climbed down. With his neck bent, he listened to the squeak of the gate as she opened it. He tried to follow her movements, but the grass muted her steps. He listened for the rustle of her skirt but heard nothing. Frozen and alert, he thought of the years he'd waited in a prison cell. He'd learned to be patient. He could be patient now. He wouldn't budge until the woman went on her way. He thought of the graves he'd seen. Was she visiting the small one that belonged to a child? A newer one with a name he didn't recognize? A roselike fragrance drifted on the air, becoming stronger as the woman approached. Josie liked fancy soaps. She also liked roses. A soft gasp confirmed his deepest fear. This woman knew him. This woman was Josie. He turned enough to see the hem of her skirt. It took him back to the day before the wedding and her banter about "something borrowed, something blue." She'd whispered in his ear about a blue garter, and he'd loved her more than ever. Now he looked up slowly, taking in the hard line of her mouth. Gone was the cheerful girl who'd teased him with mischievous smiles. In her place he saw a woman burdened by life. Her eyes were still turquoise and her chestnut hair gleamed under a straw bonnet, but she'd lost her sparkle. Ty had come home for this very moment, yet he felt unprepared as he matched her gaze. Instead of the words he'd practiced, he stared into her eyes, feasting on the past until he found his tongue. "Hello, Josie," he said in a drawl. "I'm hoping we can talk." and the bitterness. Over the years her father and brother had died, leaving the Bar JB in her hands. She also inherited responsibility for her two sisters. Anne, the middle sister taught school and sent money home. Scarlett, the youngest, lived with an aunt in Denver and wanted to go to college. Josie took her responsibilities seriously. The Bar JB was named for her father, Jeremiah Bright, but she shared his initials and his love for their home. She hadn't married because her family needed her. She'd also been hurt by Ty and had vowed to never be hurt again. The last two years had been particularly hard. She had a couple hired hands, but there was always too much work and not enough daylight. She'd long ago traded pretty dresses for dungarees. Now even that sacrifice didn't help meet the family's needs. Winter had been brutal, and the Bar JB had lost ninety percent of its cattle. Josie had gone to the bank to beg for a loan to restock. Barring a loan, she needed mercy on an overdue mortgage. Not only had Lester Proffitt denied her request, he'd looked down his nose at her. I don't do business with women, Miss Bright. Find a husband to take care of you. Have babies and be happy. His words stung in every possible way. Of course she wanted a husband. Yes, she wanted babies of her own, but her mother and sisters needed her. If she didn't make the mortgage payment in thirty days, she and her mother would have to leave the only home Josie had known. If Ty Donner hadn't let his pride get in the way, they'd have been running the Bright ranch together. Instead they were standing at Nate's grave, and Josie had the horrible sensation of her heart speeding up as she matched stares with the man who'd left her at the altar. eyes that still shimmered like sun-kissed water. Neither had his hair changed. She remembered it being brown in winter and lighter in summer. Today it was in-between, a mix of brown and gold, and it still curled over his collar. With some difficulty, she found her voice. "This is a surprise." 5.0 out of 5 stars"The Last Minute Bride" -- 5-Star Reading Enjoyment from Janet Dean - in Novella Format! I love a good novella - as long as it is really a novella and not just a long short story. A novella should be a `little novel'. It should tell a complete story. It should have functional chapters with logical beginnings and endings. A novella should have enough complexity to distinguish it from a short story. It should also be rich enough to be expanded into a full novel if the author so wished. "The Last Minute Bride" delivers on every novella expectation. In fact, because of it's unique story structure, the reading experience is similar to that provided by a very rewarding full size novel. I think "The Last Minute Bride" produces an `after-image' of having read a full length novel. This may be because the time, location and characters are also found in the author's "Wanted: A Family". My memories of what happened in "Wanted: A Family" were mixed in with the novella's story line and it made the total reading experience that much richer. I prefer novellas that have companion novels. Of course, "The Last Minute Bride" makes perfect sense as a stand alone story. I also think this richness alone makes it worth the price of the entire collection. The time is May, 1901 and the location is the Indiana town of Peaceful. Elise Langley, the heroine, is an unwed mother who was sheltered in Callie's (heroine in "Wanted: A Family") home for unwed mothers. While there she was befriended by Dr. David Wellman who delivered her baby. They both believed that they would eventually marry. Then the doctor leaves town for a family emergency. When he comes back he no longer wants to practice medicine or marry Elise. Dr. Wellman would not even come back to Peaceful except he is going to be Jake's best man. Jake is the hero in "Wanted: A Family" -- Jake is going to marry Callie. Dr. Wellman also must help arrange the wedding reception for the entire town. This requires the help of Elise who is also working on the reception. The story is very fast paced. It takes place over two weeks. "The Last Minute Bride" is an ideal novella. I enjoyed this book and I love anthologies because you finish them quickly or can walk away from the stories to finish later. I was very happy that Janet Dean's story fnished the storyline from Family Wanted (I believe that is the title). I was dis-satisfied with the ending of that book and even stated that in my review. The next thing you know I reading a continuation of that storyline, including the unwed mothers. I was thrilled! Thank you Janet Dean! I did not feel that the men in these stories got a bad rap, but that it was all about redemption and forgiveness. These 3 authors are also some of my favorite historical writers! Yeah! These authors are all excellent at telling stories. I have enjoyed it immensely taking my time to read the three stories in this book. Well worth it all the way. 5.0 out of 5 starsFun unexpected happenings. A story of lost and found love. Tender story. Very enjoyable. Looking forward to my next adventure with Lori. Wonderful ending. You might want to keep a box of Kleenex handy. These brides may be on the way to the altar but that road isn't always smooth going. Plenty of tears along the way to wipe up. The three authors have done an excellent job in this book. The stories all bring the struggles of the past and joy of the future into them. You might be routing for one to win a horse race while another to knock out his opponent in the ring. Or maybe just hoping they can see past themselves to God's forgiveness and the love waiting for them. Ty Donner is returning to Rock Creek, Wyoming after five long years. He made a decision back then that cost him everything. Most of all the love of his life, Josie Bright. He wanted to check on how she was doing and prayed she would forgive him and then maybe he could move on in life. Josie had lived in bitterness the past five years. She had made her wedding dress stitch by stitch just to be stood up by the altar. Now she was about to lose her ranch, her father and brother were dead and her mom was mostly blind. To top it off, Ty has returned and she needed him to help save her ranch. Could she forgive Ty and ever trust him again and would she turn back to God after turning her back on Him as well? I enjoyed this story and all of the books Victoria has written. Imperfect characters in need of redemption. You may enjoy reading Wanted: A Family before reading this story as it is continued from that book. Doctor David Wellman was courting Elise Langley until he suddenly left three weeks ago. Oh he left a note on his door referring his patients to his partner, Dr. Lucas, but that was all. Adding his name to the list of men who have abandoned the young mother. First Katie's father and after she found out she was expecting her own father turned his back on her. Now the man she was sure would be Katie's father and her husband has left without a good-bye as well. Not that she felt worthy of being a doctor's wife but David made her feel worthy. David failed. He failed as a doctor and more. He returned to Peaceful, Indiana a broken and hollow man. He refused to return to work and he had to let Elise and Katie go...he would fail them at some point like he failed elsewhere. He would keep his commitment to help with a reception for Jake and Callie's wedding but then maybe he would leave town in hopes that Elise could find someone who was worthy to love her. David even felt far from God, he had failed him too. Can this couple remember who they are in God's eyes and allow his love and forgiveness to cleanse them so they can begin anew? Great story, I think my eyes were gleaming with tears through most of the book which shows Janet's ability to get the emotions she writes through to the reader. Lydia Townsend's father was the foreman on the Gentry ranch. She grew up as Jeb's shadow. She may have been six years younger then Jeb but she knew at a young age she loved him. Until the day five years ago when he shunned her and she had to move to Chicago with her aunt because her father had died. She was moving back to Copper Creek, Colorado because it was more her home then Chicago was but she was not coming back to Jeb. Only he found her while she was trying to retrieve something from a cabin on his land. Jeb had missed Lydia. The day she left five years ago he noticed she had become a young woman. Much has changed since she left. His father had died and left him struggling to hang unto the land he loved. Can Jeb give into his heart and tell Lydia how he feels or will his pride of not having anything to offer her keep him from it? If you enjoyed this story by Pamela Nissen make sure and check out her Rocky Mountain Series of four books about the Drake brothers. It's a great series.